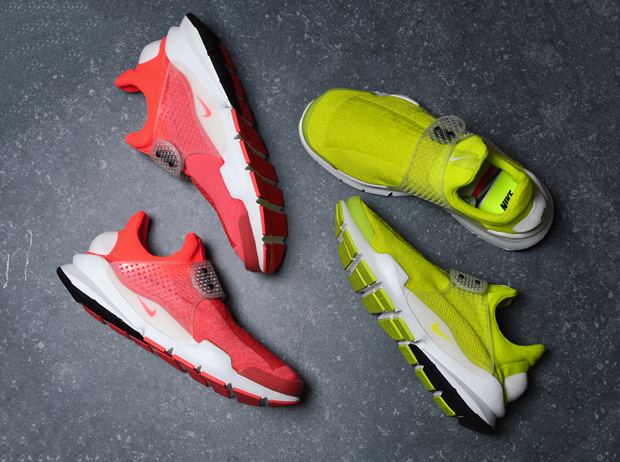 Three new colorways of the Nike Sock Dart are arriving online and in-store at select NikeLab spots as well as Dover Street Market later today. The shoe ditches its fragment design affiliations this go around, as Volt, Infrared, and Grey all arrive atop the 2004 retro that featured an ahead-of-its-time construction boasting a computerized knitted upper for the first time ever. 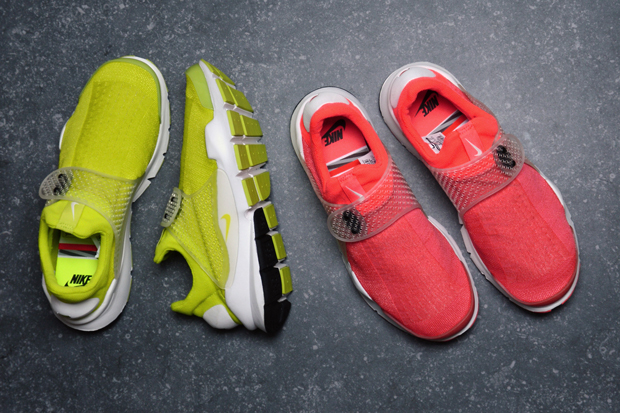 Have you been able to get your hands on the Sock Dart yet? Check out more photos below and know that the grey pair will also be available at select NikeLab locations later on today starting at 10am PT. @Enqiang1 @EloSwoosh @adelalibakir @IamBerryKix @tomwinn @jaschandard 3 colorways of the NikeLab Sock Dart drop in the US at 10am PT today.